API’s Aerospace case and containers provide superior protection for all types of high value parts. Supplying cost saving reusable containers to move high value parts from one supplier to another safely. API uses a Reusable Cost Benefit Analysis to help our customers to determine the return on investment. API builds cases to house various sensitive testing equipment. API understands the importance of keeping testing equipment within proper calibration specifications during transit. Certified packaging engineers design and manufacture precision foam inserts guaranteed to securely hold and protect the specialized testing equipment. 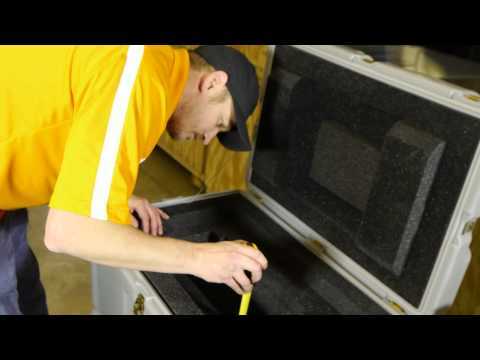 API designs and builds cases and containers to hold various maintenance and tool kits. These are custom designed to be user friendly, lightweight, and portable. With features that include recessed wheels, retractable pull handles, stacking corners, removable trays, and foam that can be customized to include part numbers and color coding.